Land Surveys in Springville Utah – Needing to know where your property is located? Ludlow Engineering and Land Surveying since 1975 has been finding lines of private and public properties. Ludlow is located just South of Springville and can perform this survey in fast quality terms. Dedicated in providing the highest service, Ludlow continues today to be the survey leader in the Utah area. 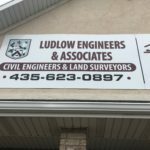 Ludlow Engineering and Land Surveying performs all kinds of surveys: property surveys, boundary surveys, ALTA surveys, As-built surveys and much. much more. Call Now at 435.623.0897 for an estimate today. For land surveys in Springville, Call Today at the above number.